Move aside David Attenborough, Emma Malik is in the house! Walking tigers and trying to prevent a dwarf horse from having an erection is the norm for Emma Malik, a British born animal trainer turned comedian. A drunken dare led Emma to try stand-up comedy, a "one off" gig which turned into a career. Since then Emma has come full circle and somehow finds time to train Rocky, one of the largest saltwater crocodiles in NSW, between TV appearances and travelling the world delivering her unique stand- up. After selling out her 2017 and 2018 Sydney and Melbourne Comedy Festival seasons as well as an encore show that was subsequently added to meet demand, Emma and some of her animal friends are back! Emma will be performing three shows in Australia this year. The first being her hit show If You Can’t Train It, Eat It accompanied by her Thai rescue dog Dukdik and Goliath the stick insect, Susan as part of the Adelaide Fringe Festival (26 Feb – 2 March), Sit Down Comedy Fringe Festival in Brisbane (16 March), Newcastle Fringe Festival (21 March) and Sydney Comedy Festival (16 – Sun 19 May). Its sequel Sticking With It playing at the Melbourne International Comedy Festival (28 March – 12 April) introduces Professor Shy, a trained goldfish as well as bringing back favourites Dukdik and Susan. 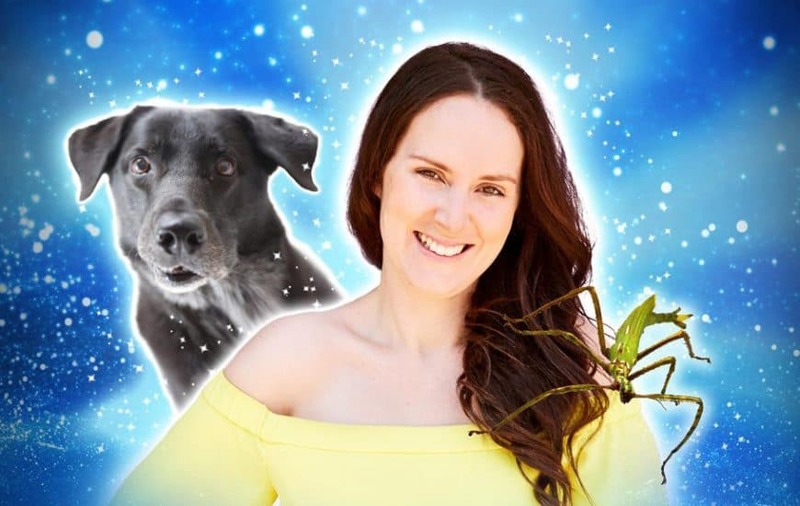 Emma’s children’s comedy show Fee-Fi-Fo-Fun accompanied by many more animal stars will be making its debut at the Canberra Comedy Festival (23 –24 March). 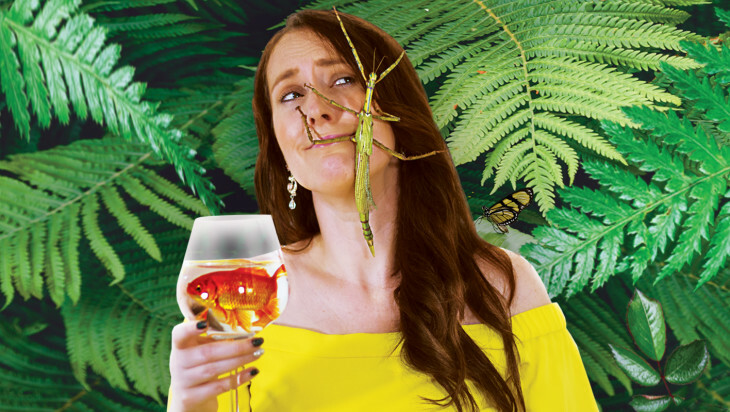 Don’t miss this truly unique show from Emma Malik and her animal co-stars as they reveal secrets that David Attenborough never would on their biggest Australian tour yet! Tickets are not expected to last long! Emma has been training animals professionally for over a decade. At just 17 she was plucked from agricultural college to move to the Isle of Mann for three months to train pigs for the BBC, from there she was swiftly signed with one of the UK’s leading commercial agencies to train animals for the media. 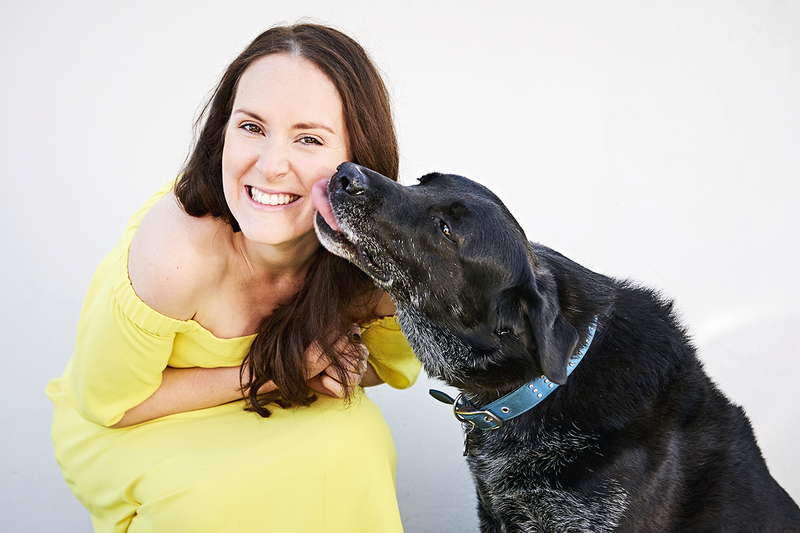 From dogs participating in celebrity fashion shows to training cows for car commercials, Emma eventually moved to Australia where she landed every Brit’s dream job – training animals on Neighbours. This eventually took the natural course of leading Emma to train one of the largest saltwater crocodiles in NSW. 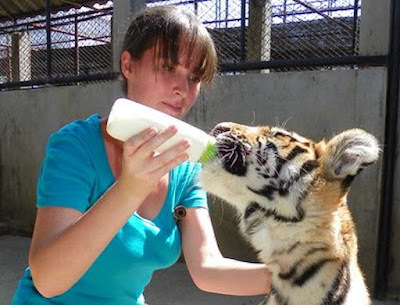 Emma already had years of experience under her belt when she left Australia to teach English and train dogs across Europe - until growing weary of expats and their designer dogs, Emma moved to Thailand to work on the world’s largest crocodile farms, the Samut Prakan Crocodile farm. During her tenure at the croc farm Emma trained everything from tigers and binturong to parrots for the King of Thailand and appeared with some of her trained parrots on Thailand’s Got Talent. This (naturally) led to a request from the revered King of Malaysia for a private parrot show on his royal visit to Thailand. It was also at the croc farm that Emma met and rescued her dog and star of the show Dukdik (Thai for “Fidget”). The remarkable story of how they came together is revealed in Emma’s shows.